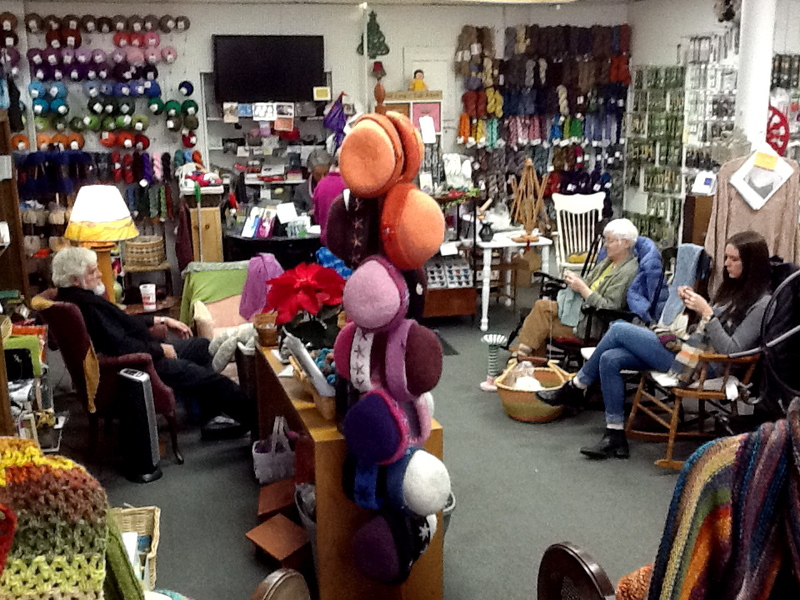 My first-ever trunk show last Thursday at White River Yarns was so much fun… In fact, the party started before I even showed up! 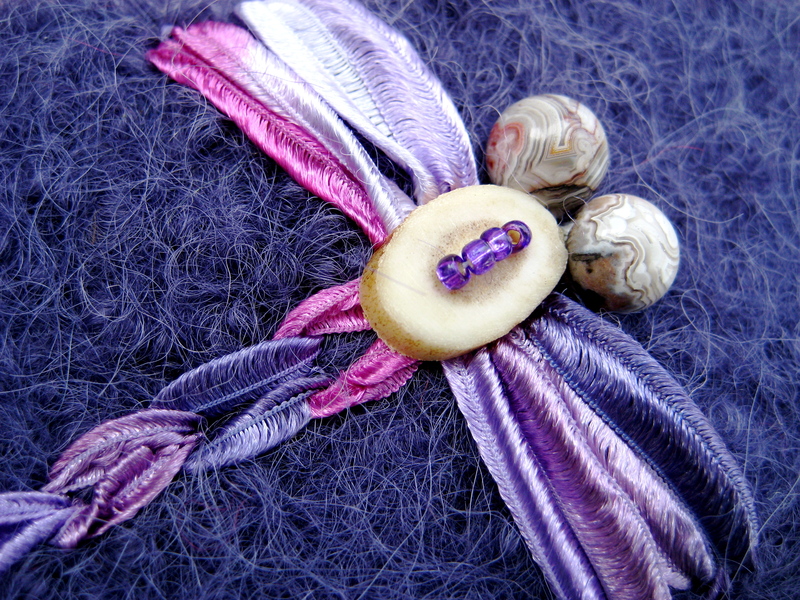 Knitted felt hat #4 of 2014, with freehand dragonfly embroidery. 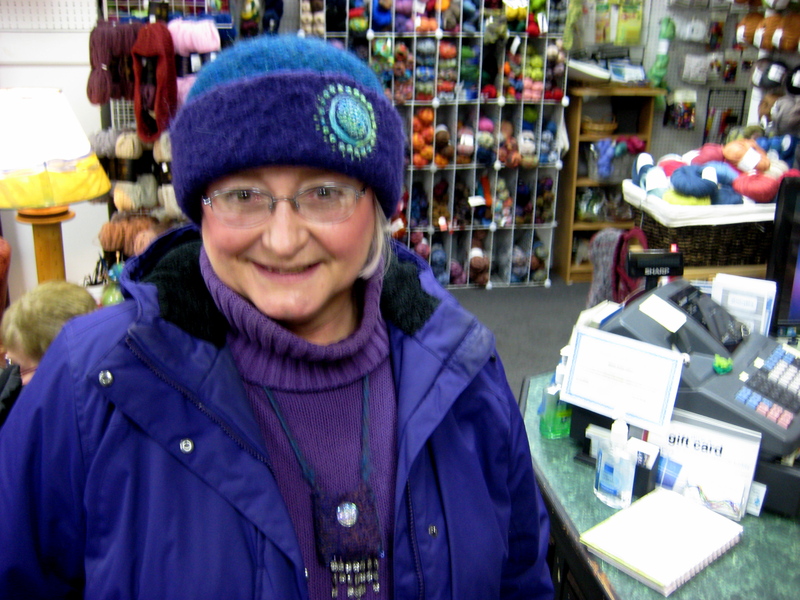 I was at Karen’s yarn shop today and purchased the dragonfly purple felted hat. I just loved it and it is so nice and warm. I’m not a hat lover but this one spoke to me and I even loved it on. Thank you, you do such amazing work. Semi-precious jasper beads make fascinating dragonfly eyes. Yay, Robin! 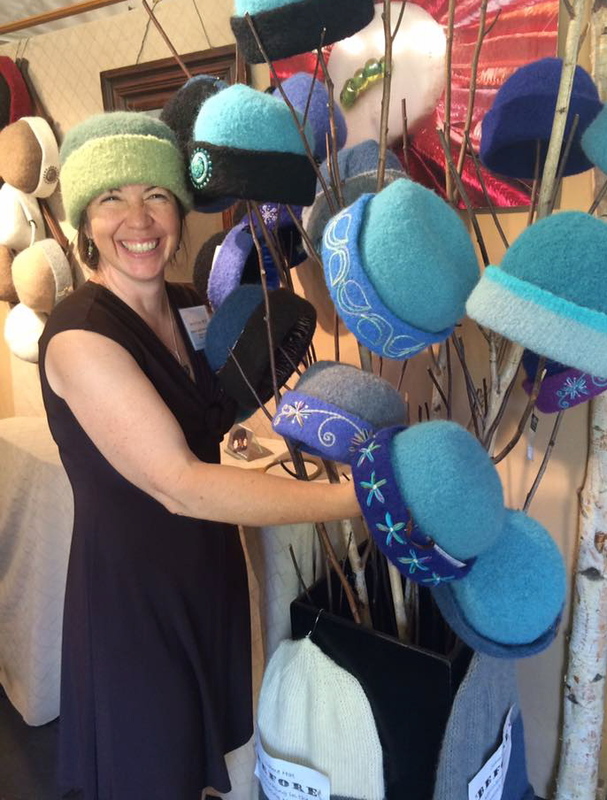 Thank *you* for starting our Felt Hat Trunk Show party off right! 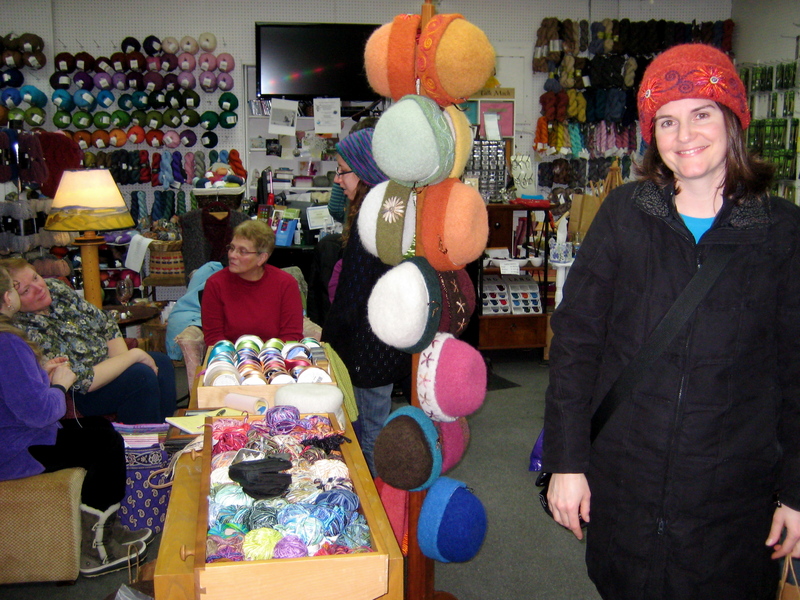 Crowd-sourcing opinions on just the right color felt hat at White River Yarns. Sometimes a special felt hat chooses *you* more than you choose *it*. 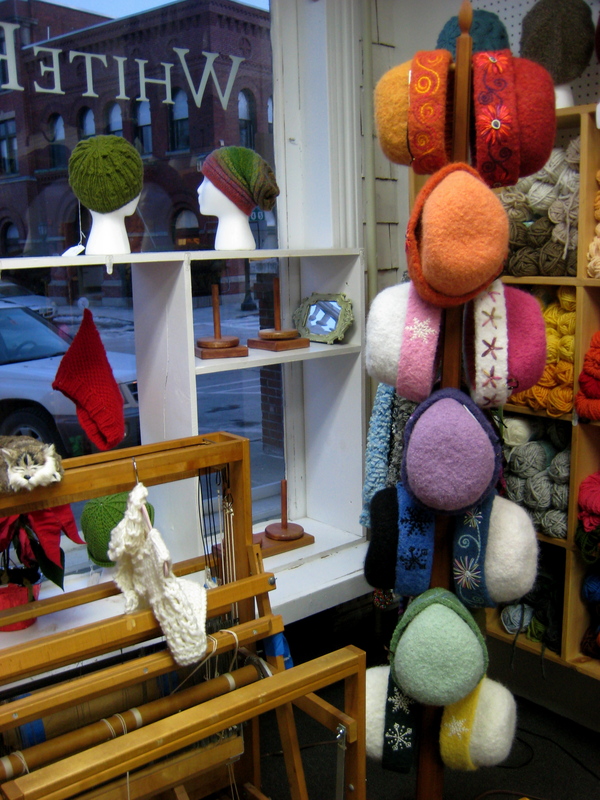 The trunk show went so well, we decided to leave 14 fancy hats, plus yarn + patterns for knit-your-own felt hat kits at the shop until the end of February. 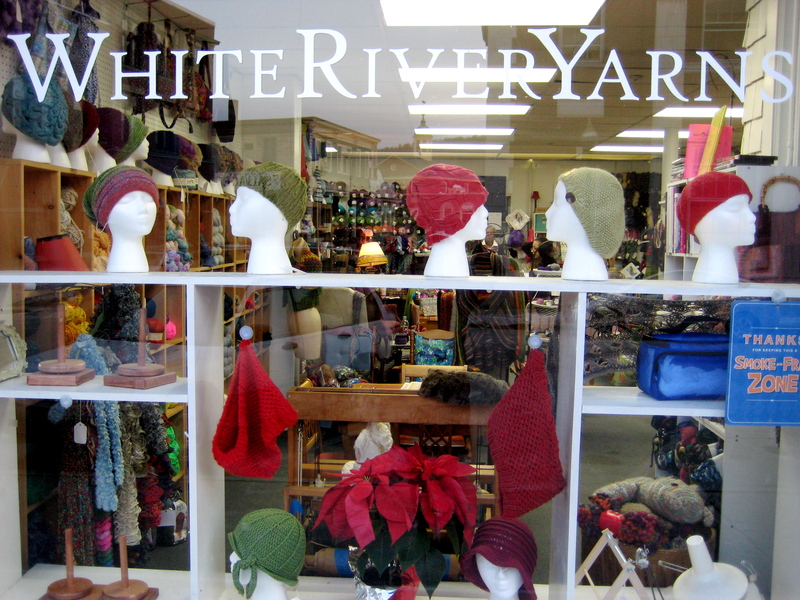 So if you’re still looking to treat yourself a one-of-a-kind felt hat or kit, please do drop by White River Yarns. I think you’ll be glad you did! Look who’s treating herself to a one-of-a-kind felt hat this year–> Happy Birthday, Kate! Sometimes, things turn out so serendipitously, you just can’t help but smile & be amazed. 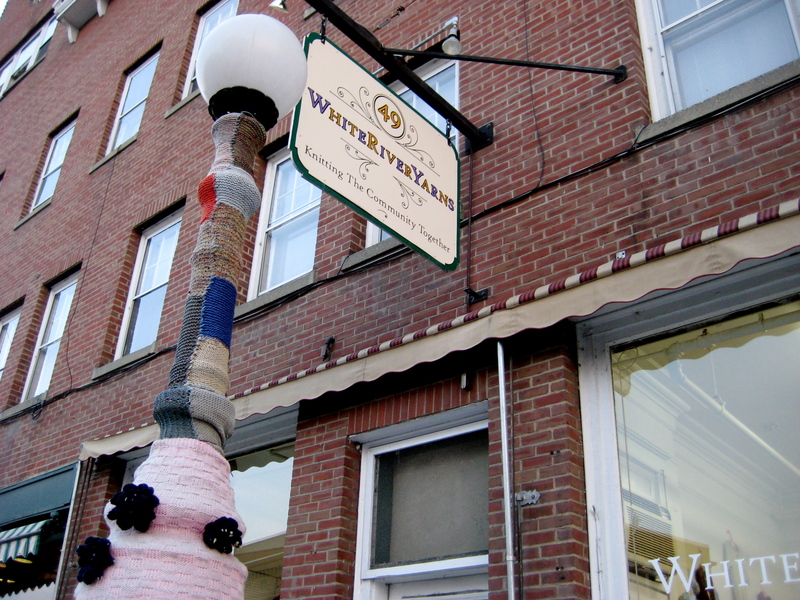 My upcoming trunk show at White River Yarns this Thursday at 6pm is one of those times. 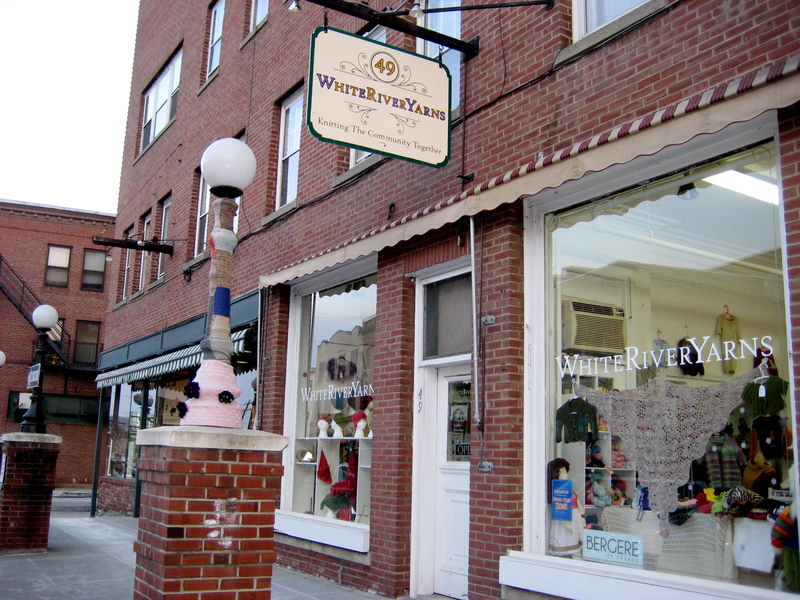 It all started when a customer-friend wore her newest embroidered felt hat into White River Yarns in White River Junction, VT a few months ago. 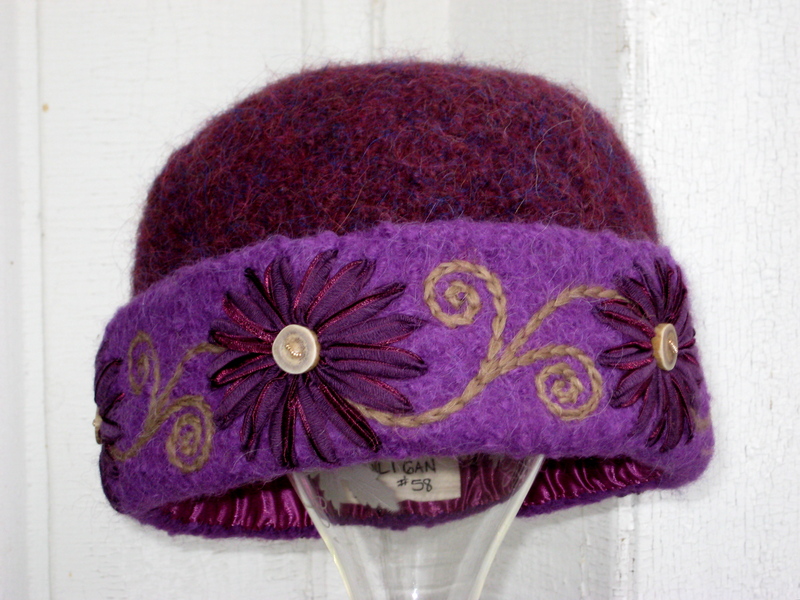 Carol K’s gorgeous custom embroidered purple felt hat #58 of 2013. 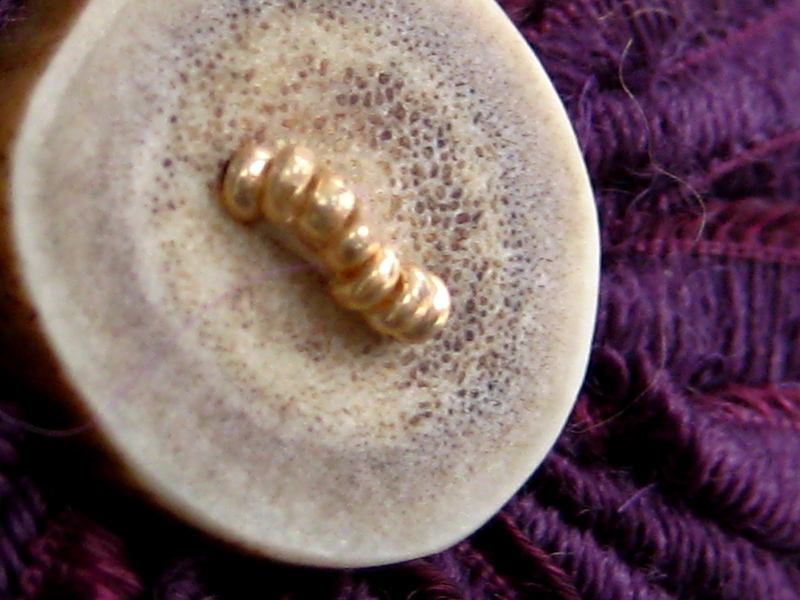 Detail of faceted metal seed beads & hand-cut antler button on felt hat #58 of 2013. 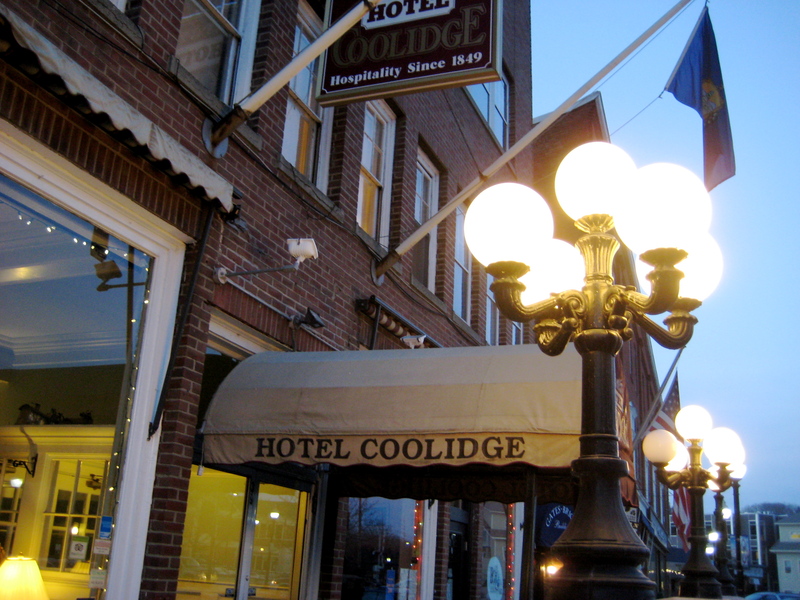 The Hotel Coolidge in downtown White River Junction, Vermont. 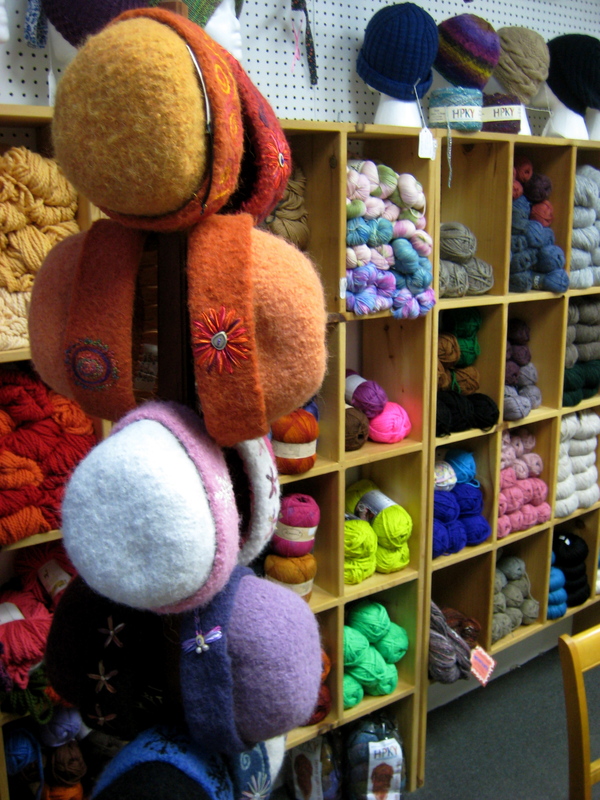 It’s a lovely little shop, whose motto, “Knitting the community together” is evident everywhere you look. 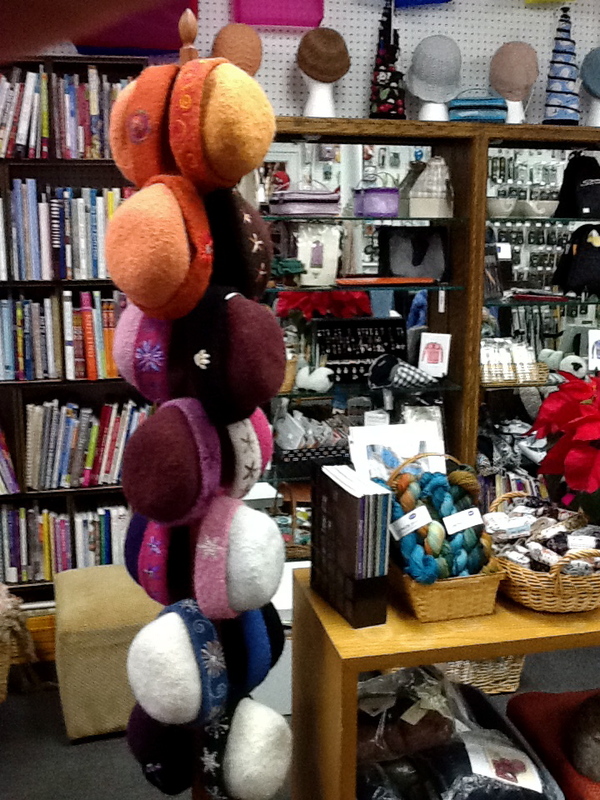 Innumerable skeins in yummy colors line the walls of White River Yarns. Oodles of knitting books and patterns available at White River Yarns. There is a little kitchen corner, equipped with mini-fridge, microwave, mugs & tea, plus a perpetual bowl of candy on the counter. 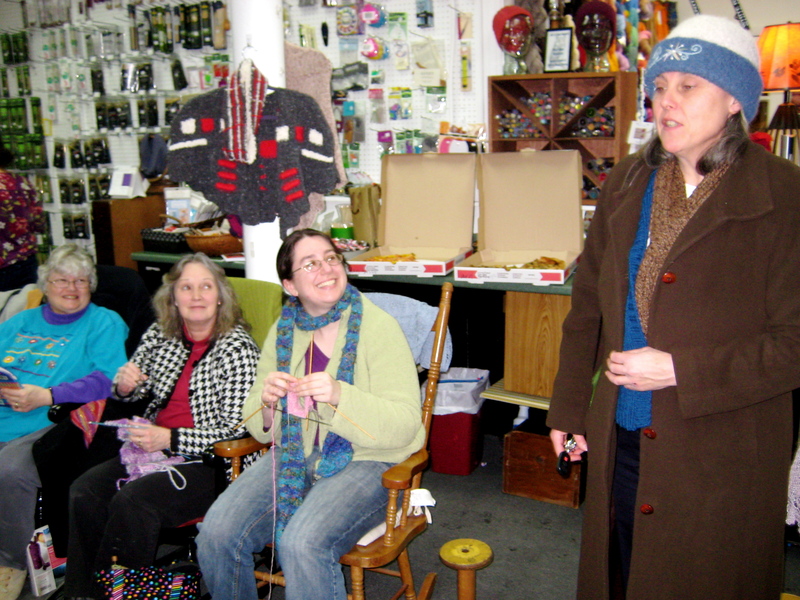 Karen Caple’s yarn shop in White River Junction, VT, is a cozy haven for knitters of all abilities. 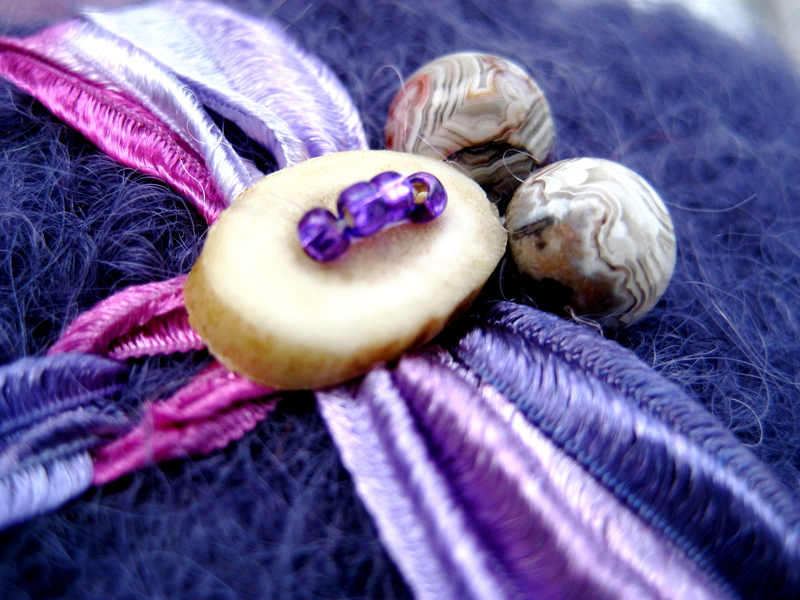 I am delighted & honored to show my hats in Karen’s lovely shop this Thursday, February 6 2014, from 6-8pm. 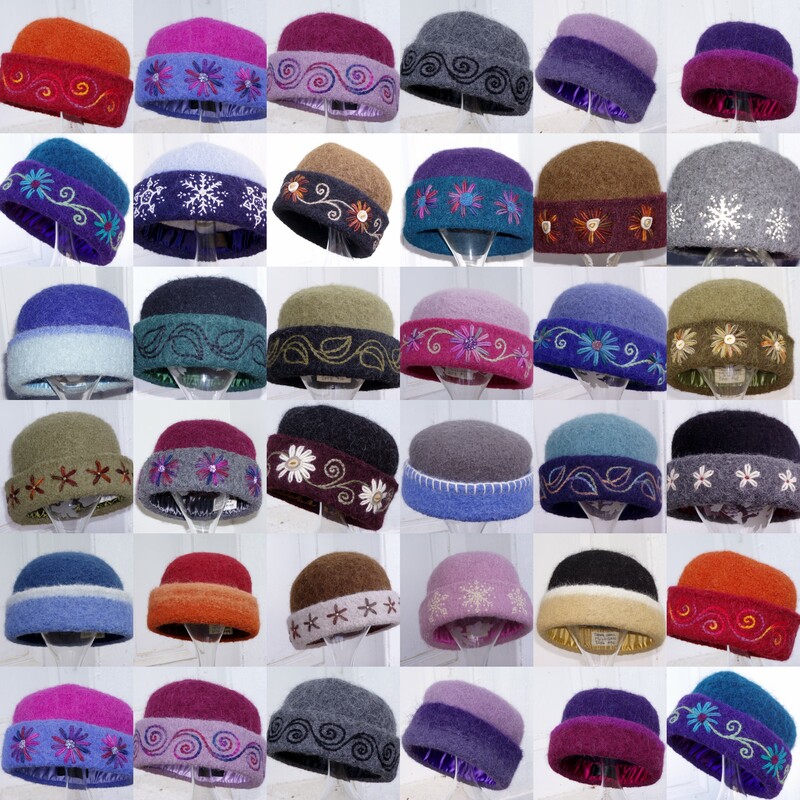 14 One-of-a-kind knitted felt hats with freehand embroidery. 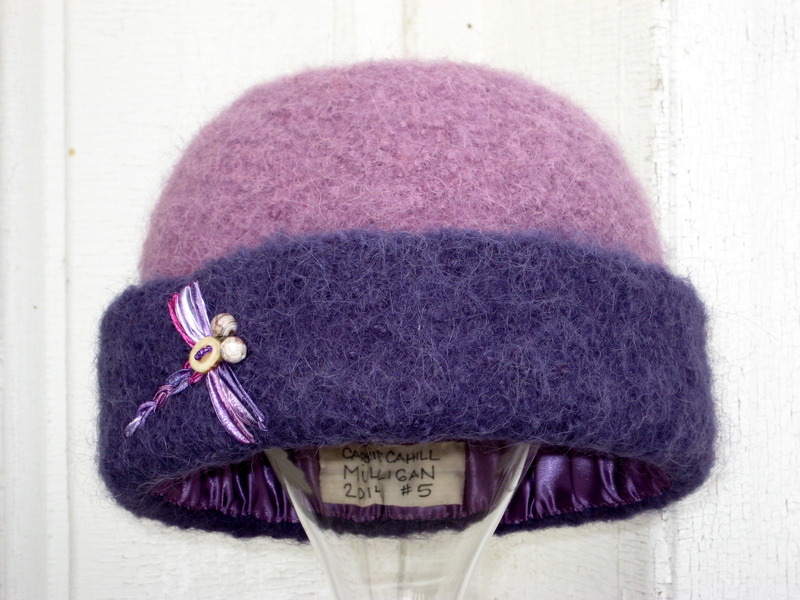 If you’re in the Upper Valley & searching for a one-of-a-kind, warm felt hat (or knitted felt hat kit), please come to my 1st-ever felt hat trunk show at White River Yarns.